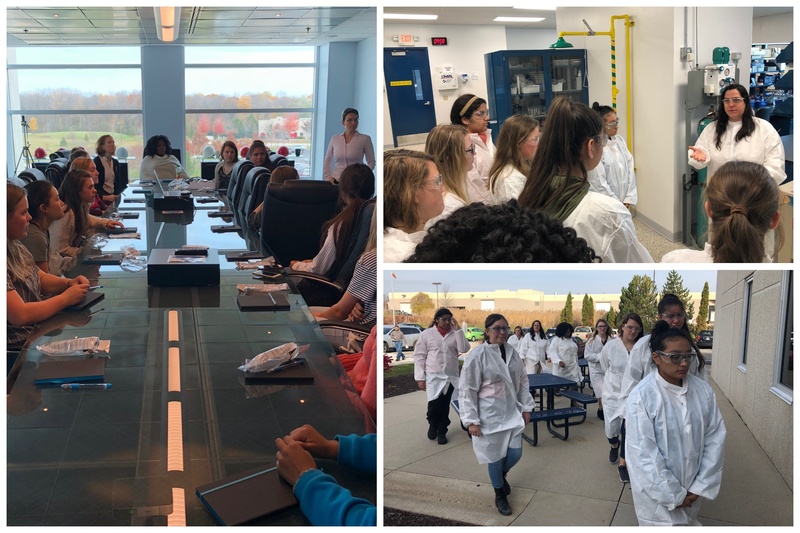 Representatives from Alcami’s chemical research and development, marketing, and human resources departments visited Marquette University on November 8, 2018 to speak to CheMU, the university’s chemistry undergraduate society. The panel gave students a better idea of the diverse careers available to them, and discussed the importance of internships and involvement in undergraduate research. Attendees were also treated to Alcami’s Virtual Lab™ experience, an immersive 360-degree virtual reality tour of Alcami labs and facilities. 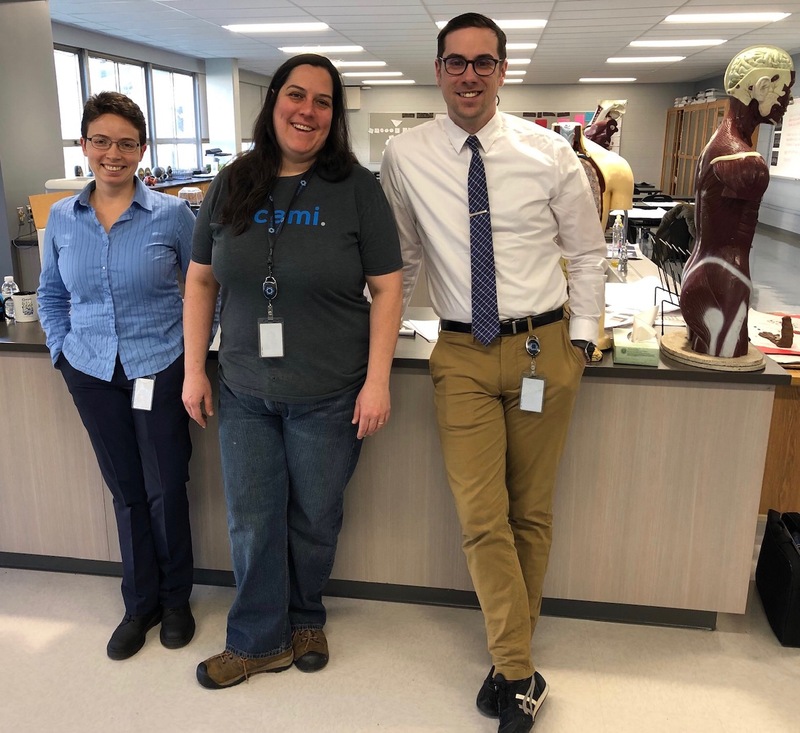 Alcami scientists Dr. Demetria Dickinson, Jasmine Mace, and Derek Piwonski held an engaging Day of STEM at Milwaukee Marshall High School November 13, 2018, in collaboration with regional advocate, STEM Forward. 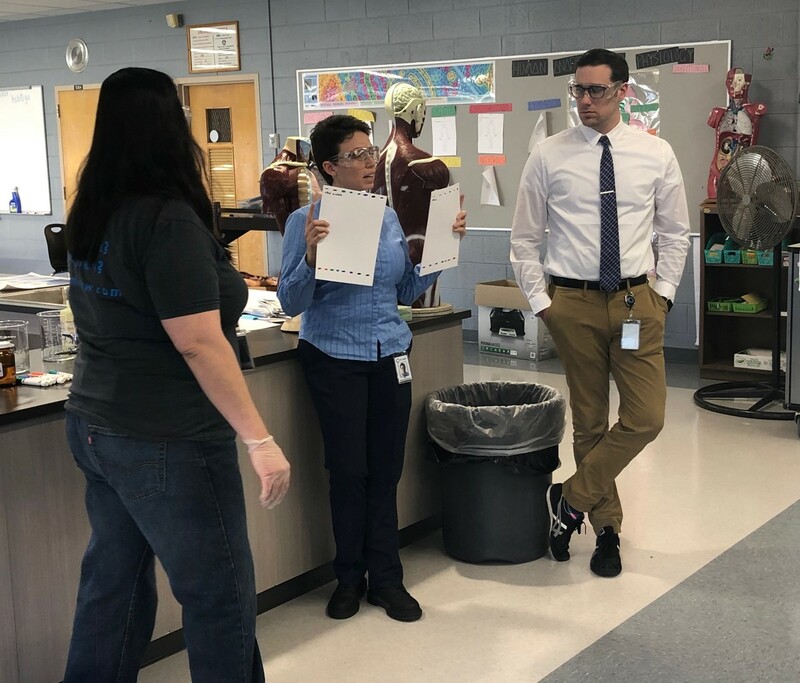 The trio answered questions from educator Krista Russell’s “Principals of Biomedical Science” classes, talked about their educational experiences, and conducted hands-on chromatography experiments. 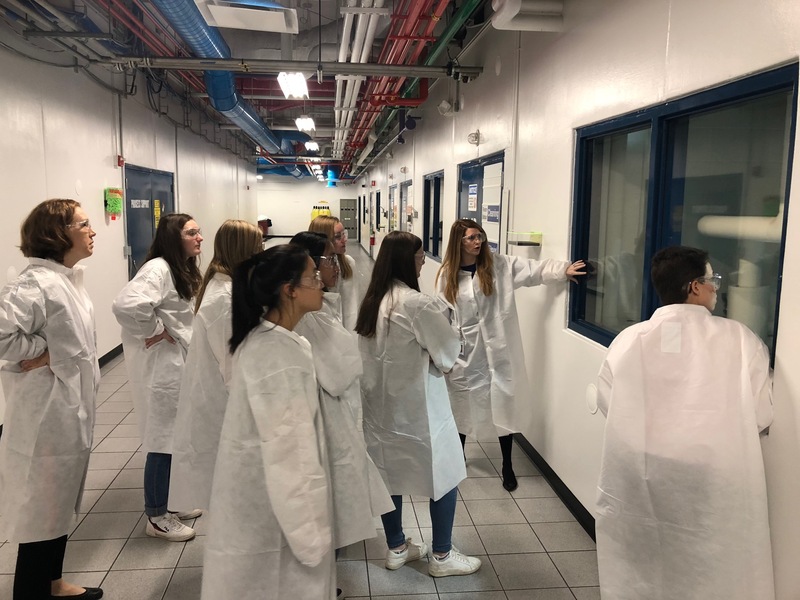 Milwaukee Marshall offers project-based courses in two Project Lead the Way (PLTW) pathways– engineering and biomedical science. PLTW provides transformative learning experiences for PreK-12 students and teachers across the United States.